The other main character who is now gone is Princess Leia; the role played by Carrie Fisher. She had some regrets at first about being typecast, but she did come to completely embrace the part in time. 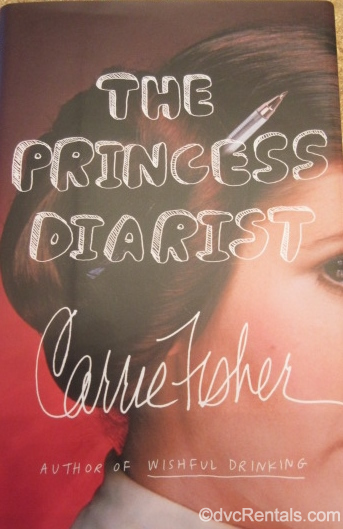 This blog will be about Carrie’s life, which I think was both wonderful and tragic. Carrie wrote a number of autobiographical books, performed a one-woman show on Broadway, and she and her mother starred in a movie about their lives together. 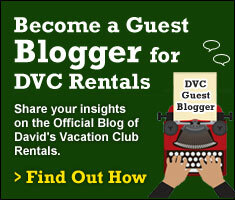 Most of the information contained in this blog was gleaned from the books and the movie. I have always found Carrie to be a fascinating character, both blessed and cursed by her fame and her genetics. Carrie Fisher was born in 1956, the child of two celebrities who were very famous at the time. 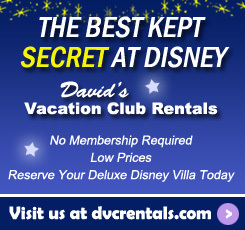 Her mom was Debbie Reynolds, who originally gained fame in the now-classic movie “Singing in the Rain”. Carrie’s father was Eddie Fisher, a singer who was often referred to as a crooner at the time. His most famous song was “My Papa.” Eddie and Debbie were known as America’s Sweethearts back in the 50’s when they were married. The public loved them, and all the tabloids at the time wrote many articles about the couple. Together they had Carrie, and later on they had another child, a son they named Todd. Debbie and Eddie were best friends with Elizabeth Taylor and her husband, Mike Todd. (Carrie’s younger brother was named after Mike Todd). When Debbie and Eddie wed, Elizabeth was not only the matron of honor; she washed Debbie’s hair on the day of the wedding, that’s how close they were. Carrie’s first marriage was to the singer Paul Simon. The marriage did not last long, but they continued to date off and on for about ten years. Paul wrote some songs for Carrie, and in her writing, she makes it clear that she was very flattered by this, even when the lyrics were not particularly flattering. In one of her books she wrote: “If you can get Paul Simon to write a song about you DO IT. Because he is so brilliant at it.” If you are familiar with Paul’s music, “Hearts and Bones” and “She Moves On” are about Carrie. Carrie’s next serious relationship was with a talent agent named Bryan Lourd. Together they had a daughter in 1992, Billie Lourd. Let’s rewind a bit now. Carrie started her career as a chorus girl in one of her Mom’s shows; at that time Carrie was only 15. She had an excellent voice, and Debbie wanted her daughter to follow in her footsteps as a singer/actress. However, Carrie much preferred acting and got her first role in the Warren Beatty movie titled “Shampoo” in 1975. In 1977, she was cast as Princess Leia in “Star Wars.” She did not expect the film to be the huge hit it turned out to be, spawning an entire franchise. Carrie was 19 when the film was released, the same age her mother Debbie was when HER first big hit movie “Singing in the Rain” came out. She will be in the next Star Wars sequel, using footage shot from the “The Force Awakens” and “The Last Jedi.” In addition to the Star Wars films, Carrie appeared in “When Harry Met Sally” and “The Blues Brothers” as well as a number of other movies. Sadly, Carrie died at age 60. She was on a plane flight and suddenly became unresponsive. They tried to revive her on the plane, but she went into a coma. She was hospitalized and, when it was clear she had no brain activity, she died after being taken off a respirator. The official cause of death was cardiac arrest due to atherosclerosis combined with sleep apnea. Her mother Debbie was so heartbroken (she is on record after her daughter’s death as saying “I want to be with Carrie!”) that she herself had a stroke and passed away just one day after Carrie died. The two had a tumultuous relationship for many years but eventually became best friends, even living next door to another for many years until they passed away. There is so much more to Carrie’s life than I could write in this blog. 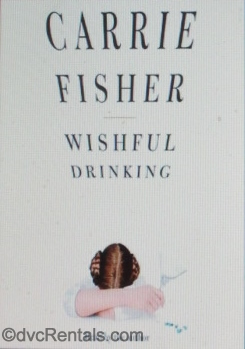 If you’re interested in learning more (and getting many laughs), I suggest you watch her one-woman show (you can buy the DVD or rent it from a library, it’s called “Wishful Drinking”). She also wrote a book with the same title, which is autobiographical. 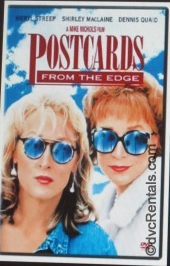 Her first book, “Postcards from the Edge” is a thinly veiled fictionalized account of her life with her Mom Debbie. This book was made into a movie with the same name starring Shirley MacLaine and Meryl Streep. Carrie has written fiction, but her other books are autobiographies with fascinating stories about her life, sad, funny and interesting all at once. You can buy them, or borrow from the library. 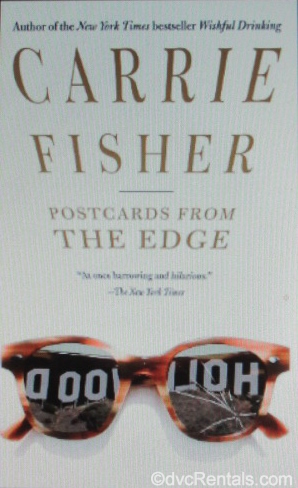 I recommend you get the audiobook versions, as they are read by Carrie herself, and I love the way she accentuates certain words to make her feelings/thoughts even more clear. 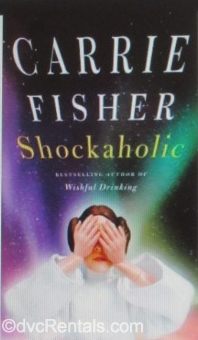 The books, in addition to the aforementioned “Wishful Drinking”, are “Shockaholic” and “The Princess Diarist”. The latter discusses her relationship with Harrison Ford during the making of the original Star Wars film. He was married and 35 years old (as mentioned above, Carrie was 19). She writes about many aspects of Star Wars in her books, such as what it did to her career and to her psyche. 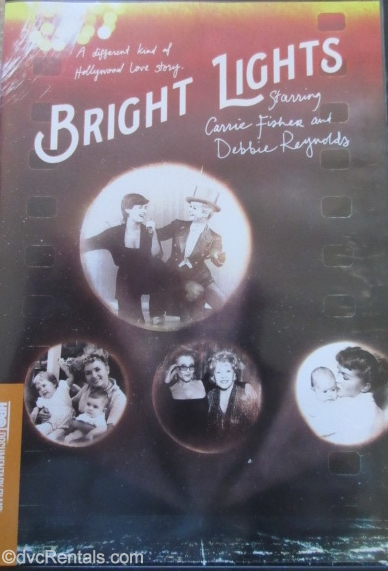 Lastly, I suggest you watch the HBO movie “Bright Lights.” It’s the story of Carrie and Debbie’s relationship, with the two of them just being themselves. Sort of like a reality show, starring two people who are really fascinating. Carrie Fisher was an individual with many sides to her, but the one I will remember most was her ability to laugh at herself, even at her worst moments in life.